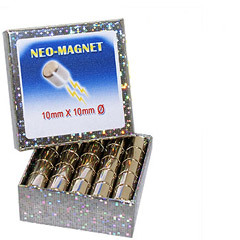 Here is a tool as important as useful in magic : neodymium magnet 10x10mm. With this powerful magnet is possible to modify a cord to perform incredible effects of “cut and restored cord”. The power and size of this cylinder make it suitable even for cords thicker than normal, or even for a rope.